Get to know more about me and my adventures (if you dare!) through select written articles, podcast episodes, and more. Hosted by Nic Antoinette, Real Talk Radio is a podcast filled with refreshingly honest conversations about the wonderful mess of being human. In this episode, Laura goes into detail about what her life on the road is really like. 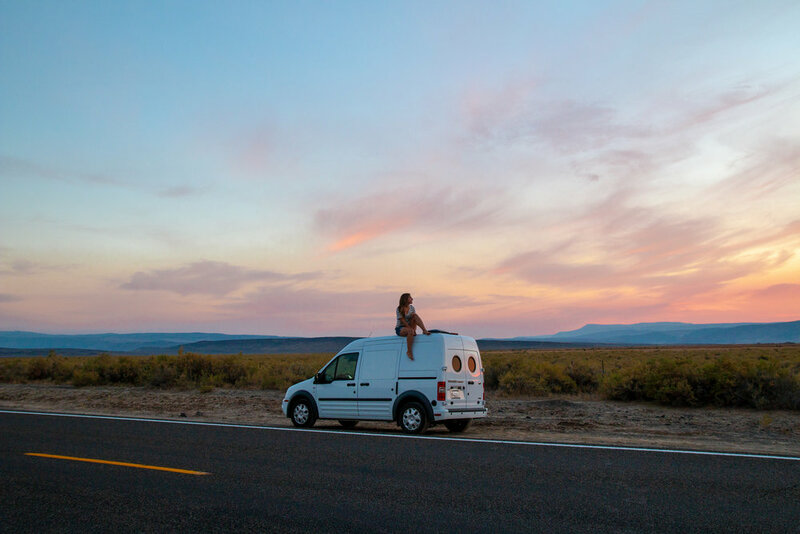 She talks about her decision to pursue full-time travel, what it was like to build out a van with her former partner, as well the split from that partner that lead her to build her own van and set out solo on the road. Hosted by Gale Straub, She Explores is a podcast about women who are inspired by time spent outside. We meet up with Laura Hughes in Denver and hear about her recent rafting and hiking trip in the Alaskan Yukon with MT Sobek. She talks about some of her fears to saying “yes” to photograph the trip for The Outbound, but why she’s glad she did. We talked to a few people who know the game more than most: Foster Huntington, who coined the #vanlife hashtag back in 2011 and then penned the 2017 book Van Life: Your Home on the Road; Laura Hughes, who runs How She Views It and the Women on the Road podcast; and Lisa Jacobs of Vacay Vans. Via email we discussed the honesty of the #vanlife feed and how the movement has boomed, as well as more practical advice for aspiring road warriors. Laura Hughes is ready for round two. After six years together, Laura and [her ex] separated in the summer of 2018. He took the van. This forced Laura to bid farewell to a project for which she’d quit her job, sold her possessions, and said goodbye to her family. What’s more, the split left Laura without a home base. That’s where we find Laura for this interview: camped out in her parents’ backyard in Whidbey Island, Washington, on the cusp of her new vanlife project. Hitting the road as a van-lifer sounds like an ideal situation for those hungry for more adventure. And these days we are seeing more and more people balance living nomadically while holding down a job. For those who might be considering van life or a more mobile lifestyle this year, we’ve rounded up actionable tips from three digital nomads. They’re living life on the road and off the grid and have some honest advice on the reality of the daily hustle. With no passport required, Women On The Road takes listeners on exclusive adventures across the U.S. featuring candid, compelling, and vulnerable conversations with female travelers in different stages of life on the road. Rogue Habits caught up with Laura Hughes to discuss how she came to host WOTR, why the podcast resonates with so many women across the nation, and some of Hughes all-time favorite interviews to date. Scared to Sleep in the Woods Alone? Here’s How to Get Over it. Anxieties about trekking through nature as a female are common. So common actually that most of the women that you admire on social media have felt the same fears as you. How do I know that? Because they told me. This episode offers a glimpse into life on the road and what it’s like to bring your home with you wherever you go. 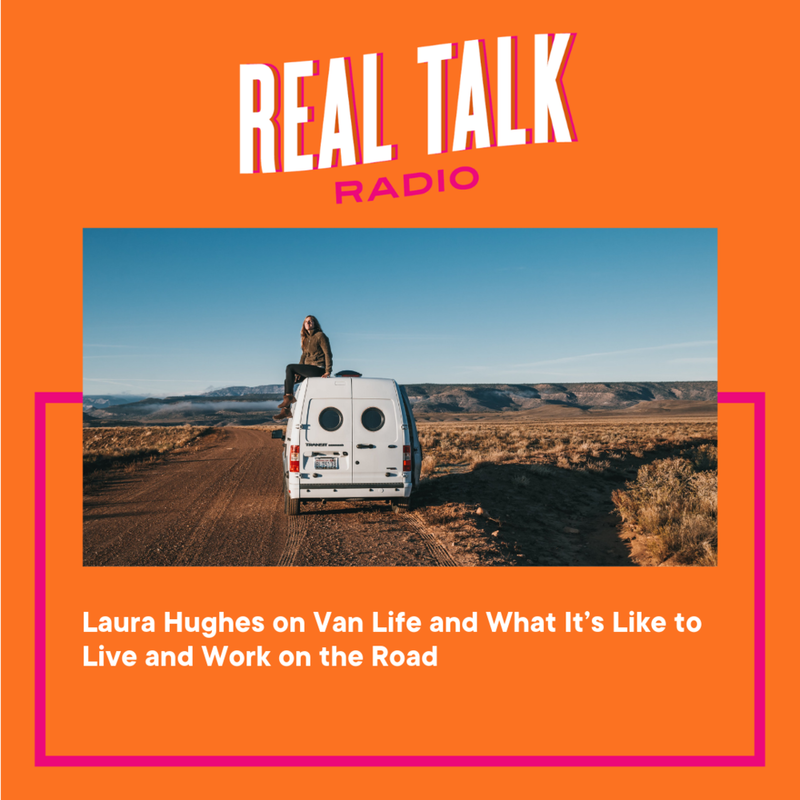 We deep dive into #vanlife with Laura Hughes, a traveling podcast host/producer, writer, and photographer who left her full-time 9-to-5 in the spring of 2017 to pursue the open road. As part of our Women In the Wild series, Laura Hughes shares how she got to where she is now, how she approaches the outdoors, and more. The women featured in this series are all rad in their own right, regardless of where they come from, what they look like, or how 'badass' they might be— whether they're mothers, daughters, sisters, professional athletes, beginners, weekend warriors, 'instafamous,' or anywhere in between. Are Roving RV Neighborhoods the Future of Community? A first-person experience detailing the first annual Women On The Road Gathering in partnership with Vanlife Diaries. In New Mexico's high desert, a society of nomadic women seek independence through nature.